Chris and I are excited to share the news that our family business has grown and we are expanding. Guiett's Portajohn is pleased to welcome Aaron to our family team. Aaron moved to Harrison in 2003. As a hunter and fisherman who loves being outdoors he fell in love with the area. 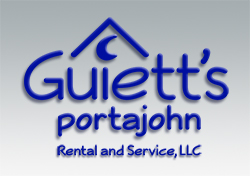 Aaron describes himself as customer focused and states that “as customer service is the cornerstone of Guiett's Portajohn I am excited to become a part of a family owned business that sees their customers as the most important part of the company. As a new employee at Guiett’s Portajohn my goal is to provide the same level of customer service that Chris does while building both rapport with current customers and the expanded customer base."